Where Do Canadians Hear about Books? Today, BookNet Canada is releasing the second of three consumer studies. 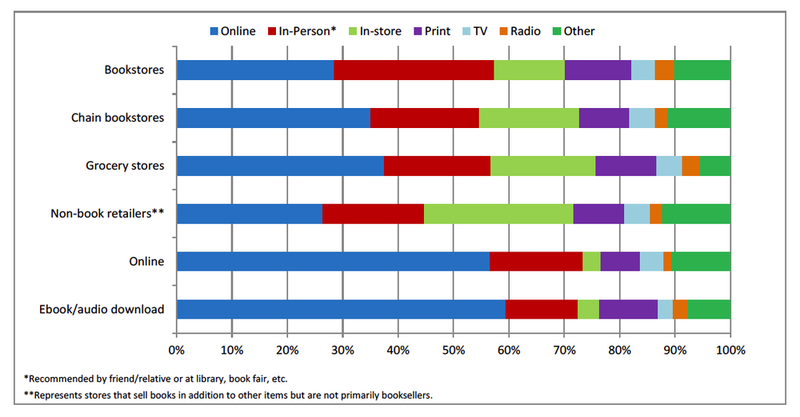 This study, The Canadian Book Consumer 2013: Book Purchases by Channel, looks at how buyers find out about books and where they make their purchases. In both 2012 and 2013, we found an extremely high correlation between online discovery and online purchase; similarly, there is a high correlation between discovering books in-person and ultimately purchasing books from a bricks-and-mortar retailer. People who purchase a print book from an online retailer or download a book from an ebook or audio site are the most likely to have read a customer review, and these reviews rank higher as awareness factors than newspaper reviews (e.g., a book review from The New York Times). 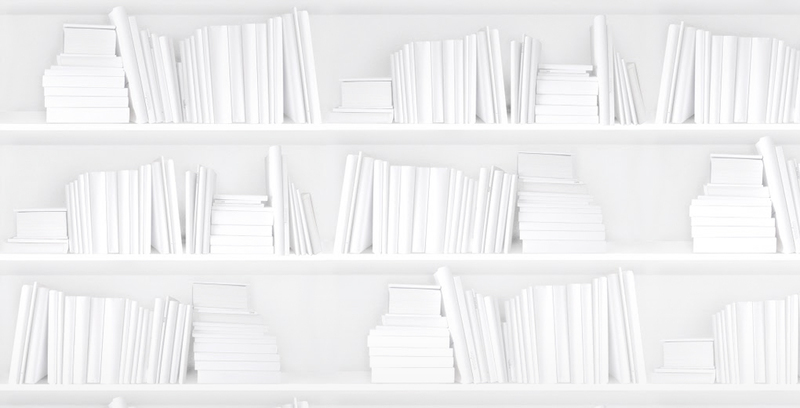 People who purchase their books from non-book retailers are significantly more likely to have become aware of books through in-store interactions. The graph below looks at awareness by channel. We have broken out purchases for each channel and how buyers became aware of those purchases. For example, one point of interest is that for 6% of grocery store purchases, the buyer was made aware of that title through a radio broadcast, whereas for other channels, only about 3% of sales were attributed to radio. Close to two-thirds of Biography & Autobiography book buyers (63%) and Health & Fitness book buyers (60%) found their books through online experiences, compared to just over a third of History buyers (35%). 34% of Espionage/Thriller buyers and 21% of Mystery/Detective buyers were influenced by an in-store experience—since purchasers of these genres were likely to have planned out a specific time to buy a book, without having a specific title in mind, they were probably relying on store selection and merchandising to discover new or popular titles. If you bought the first report, In-Depth Reader Profiles, you can save 25% on your copy of Book Purchases by Channel. To find out more about these reports or to purchase, please visit www.booknetcanada.ca/consumer-studies.